Rachel Komisarz-Baugh was a three-time Southeastern Conference champion and a seven-time NCAA All-American swimmer at the University of Kentucky from 1996-1999. Swimming freestyle and butterfly, she was named SEC swimmer of the year in 1999. 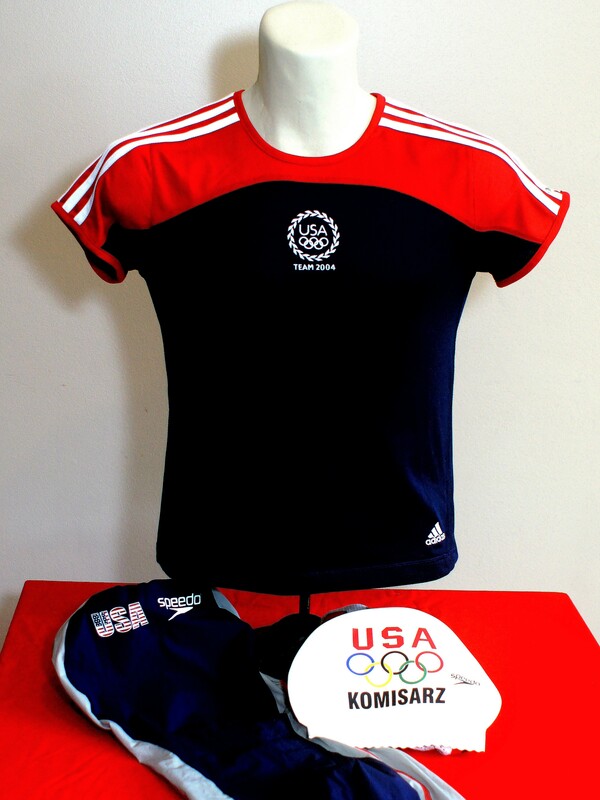 Komisarz-Baugh was a member of the U.S. National team that won two Olympic medals and 13 World Championship medals. In the 2004 summer Olympics, she won a gold medal in the women’s 4×200-meter freestyle relay, and a silver medal in the women’s 4×100-meter medley relay. 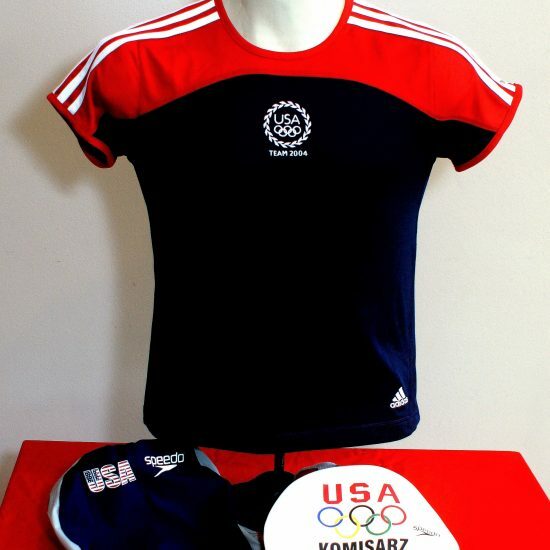 In the 2003, 2004 and 2005 World Championships, Komisarz-Baugh won Gold medals in the women’s 4×200-meter freestyle relay, and in the 2008 World Championship, she won a Gold medal in the women’s 4×100-meter medley. Rachel Komisarz-Baugh was like every other little girl watching her hero, Mary Lou Retton, on television in 1984 during the Summer Olympics in Los Angeles, CA. A member of the United States Women’s Gymnastic Olympic team, Retton captured the hearts of Americans and five medals, including one gold in the individual all-around gymnastics competition. Komisarz-Baugh was inspired and the fire of capturing Gold as an Olympic athlete was lit. Komisarz-Baugh never made it as an Olympic gymnast, but her dreams of becoming an athlete on the biggest of stages were achieved as a Gold and Silver Medalist Team USA Olympic swimmer. Her successes are being honored once again. A record-tying five-time World University games medalist and World Champion swimmer, Komisarz-Baugh will be inducted into the National Polish-American Sports Hall of Fame, becoming just the fourth swimmer welcomed to the Hall of Fame. “I was just ecstatic,” Komisarz-Baugh said. “To be inducted in the Polish American Hall of Fame, words really cannot explain. I know what my family and everybody went through coming to the United States and to be able to represent my heritage and my culture. A native of Warren, MI, Komisarz-Baugh followed her hero’s footsteps on the gym mats, but her gymnastics career was cut short when she over-rotated a double-back, landing on her heels, fracturing two vertebrae in her lumbar spine. Komisarz-Baugh had a full recovery, but her specialist gave her news she had not expected. Komisarz-Baugh hated being in the water. Her family would rent a summer house at the lake and she would spend her time on the boat rather than in the lake. But with no other option, she knew she had to overcome her fear. “I think I had some two-year-old’s swimming circles around me while I was hyperventilating, trying to overcome putting my face in the water,” she said. “There was a lot of fear that I had to overcome, but I knew if that was my only option I knew that I had to get in the water and swim because I was so competitive and I loved sports and athletics and I knew that I had to do something. I knew it was going to be worth overcoming the fear of water to be able to swim. Just one year into her competitive swimming career, Komisarz-Baugh took her talents to the University of Kentucky where she was a three-time SEC Champion, a seven-time NCAA All-American, was named the SEC Swimmer of the Year and won the SEC Commissioner’s Award. After a successful four years with the Wildcats, her swimming career was just beginning. She swam the trials in 2000 and didn’t make the team, but finaled in all five of her events, which sparked her competitiveness even further. Her realization came true the following year. Komisarz-Baugh qualified for the World University Games and would represent the US National Team. And represent she did. Her Olympic dream came true in 2004 when she won the 100 Fly in the Olympic Trials, earning a spot on the USA Olympic Team who would compete at the Summer Olympics in Athens, Greece. Komisarz-Baugh helped Team USA win a gold in the 4×200-meter freestyle relay and a silver in the 4×100-meter medley relay, the highlight of her swimming career. Komisarz-Baugh has accomplished many feats in the pool, but ranks the induction in the National-Polish American Sports Hall of Fame as one of her greatest achievements.